Do you feel shin pain when running? Shin splints, or medial tibial stress syndrome, can be described as shinbone pain that occurs anywhere along the front of the bone. Shin pain often indicates inflammation of the sheath around the tibia, or shinbone. It is commonly thought that shin splints are tiny fractures along the inside of the bone; however, this is not the case. A sudden increase in activity causes excessive traction from muscles that attach to the lower leg, resulting in inflammation and pain. "Why have I got shin splints?" Stop sitting on the sidelines. We can show you how to manage and cure your shin splints. Not a runner? Shin discomfort is also common among basketball players, tennis players, dancers, and other people who are on the move for long periods at work or play. Shin splints can be treated successfully with our help. Shin splints are commonly felt during or after repetitive activity such as running or walking. At Bellevue Podiatry, our podiatrists will first examine your legs and feet. The next step in identifying the cause of your pain is a treadmill assessment to analyse your gait. 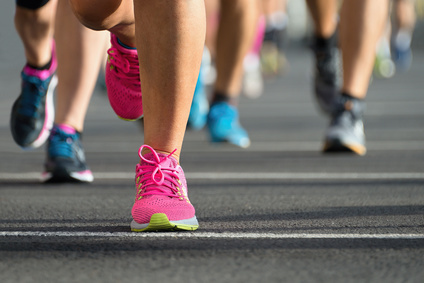 Finally, our podiatrists will develop an effective treatment plan to remedy your shin splints and prevent them from coming back. Don't let shin splints keep you from being active and getting fit. You CAN run, walk, and play without lower-leg pain. Book an appointment online or call (03) 9457 2336 today.